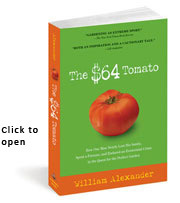 I'm William Alexander. 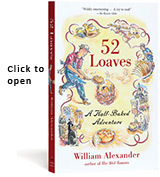 Whether it's building the perfect garden (The $64 Tomato), baking the perfect loaf (52 Loaves), learning French, or taking up shooting, I've embarked on the great mid-life adventure — and I'm keeping notes! The author of three critically-acclaimed books, a frequent NPR guest, and occasional NY Times op-ed contributor, my latest challenge is fullfilling a life-long dream, learning French, even at the age of 57 58 59 (better late than never, non?) More about me..."
Cheers, England! 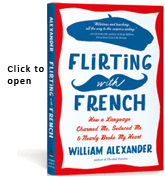 "Flirting with French" is now available in the UK from Duckworth. Le Monde analyzes my Vous/Tu chart - zut alors! The Wall Street Journal has published a rave review of Flirting with French, calling it "highly readable" and comparing me to both(!) Walter Mitty and George Plimpton. Merci bien! CounterPunch calls me "one of America's funniest writers"